It’s not that often you go to a gig and are truly moved. There are moments of course. 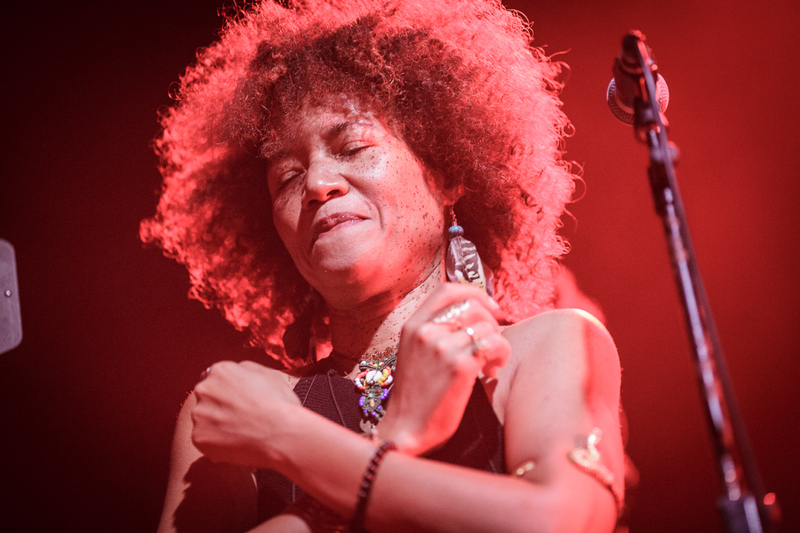 There usually are a few moments in most gigs where you find yourself thinking, “well, that’s pretty good…” but to be honest it’s quite rare to go to a show when those special moments start when you hear the very first note and end with the final sound of a drum roll. In such instances those special moments all add up and coalesce into one single memorable hour and half or so. 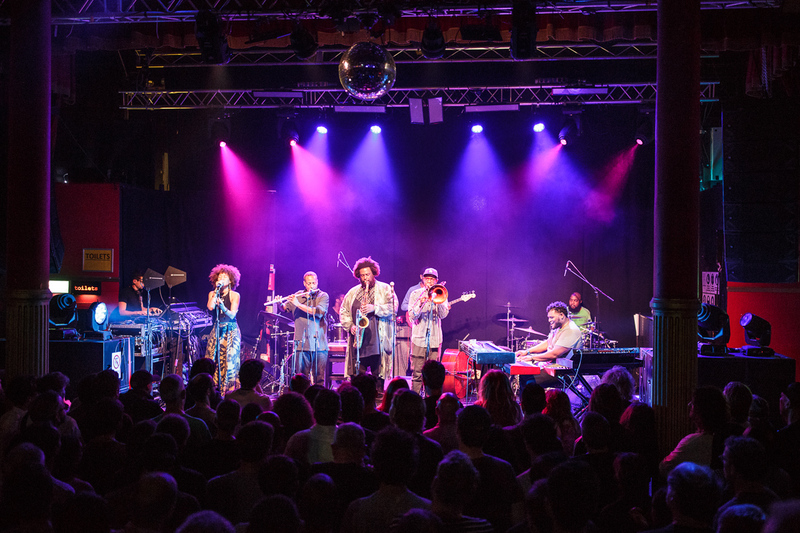 Such a thing happened when Kamasi Washington turned up at the Arts Club in Liverpool to play only a couple UK shows. We were indeed privileged. 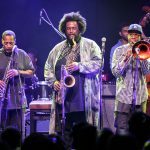 Kamasi Washington’s 2015 debut album, The Epic, swept the boards of awards across the world, winning plaudits not only from the jazz community but wider afield. It was quite astonishing that this three-disc- and just imagine having the confidence to release a triple album as your debut- hit hearts and minds so deeply. 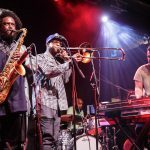 An album comprised of 8-12 minute instrumentals, with nods to 60s and 70s avant jazz-funk modality and spirituality, steeped in the tradition of Coltrane, Tyner, Sanders and all, finding a new audience with those raised within post- millennium musical confines that we all now find ourselves somehow trapped. It was incredible and a complete breath of fresh air. 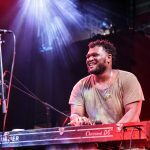 Since then, he’s gone on from strength to strength, playing big festivals across the world and earning a coveted spot at the BBC Proms in 2016 as well as continuing to collaborate with the likes of Kendrick Lamar, Thundercat and Flying Lotus. 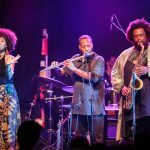 His most recent outing is a new 2017 track, Truth, a 14-minute long expansive and winding big-band song which premiered at New York’s Whitney Museum of Modern Art in April. From New York to the Arts Club. We hoped we’d see something magical and we weren’t disappointed. 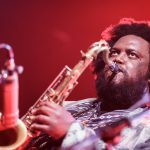 Kamasi Washington is a big bear of a man; someone who has that air of authority, someone who looks like he wouldn’t be messed around with. A mere raise of an eyebrow would be enough. But he didn’t need to do any of that. 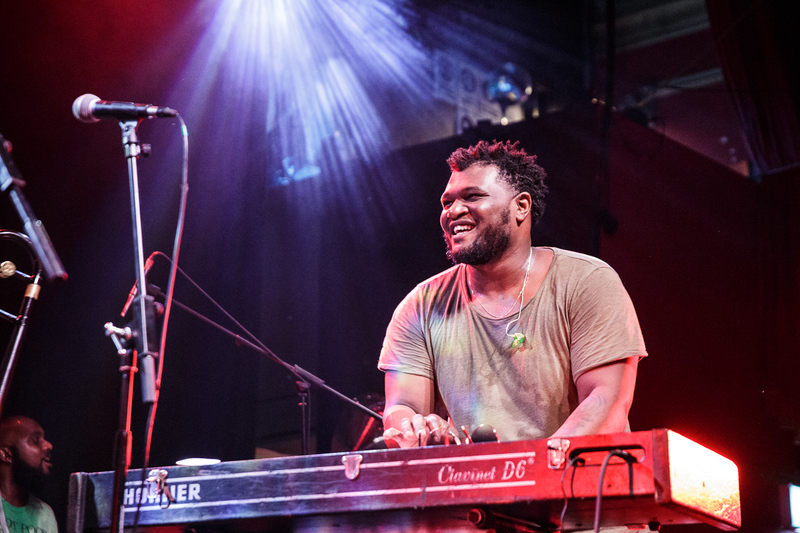 He just got on stage and played. 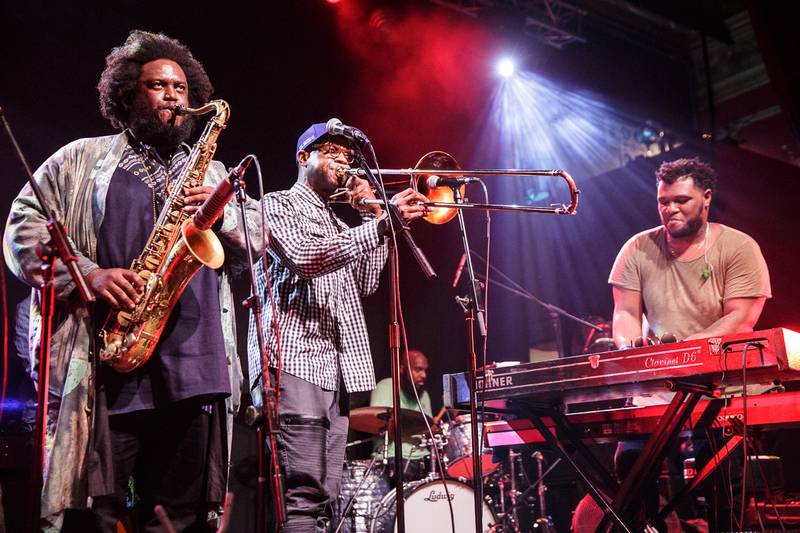 It was a packed Arts Club that saw an astounding two hour show from Kamasi and his group. 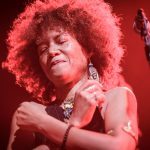 The vast majority of the tunes were from The Epic but he also took time to play a couple of brand new tracks; one of which, Black Man, replete with a marvellous vocal performance from Patrice Quinn demonstrated in spades that The Epic was no mere flash-in-the-pan. If this shows the future direction of his work then we all have a lot to look forward to. 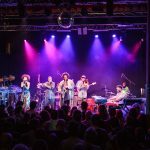 It really is impossible to single out a couple of songs for special mention as the whole show was special. There’s always a risk that with such a great record as The Epic for a temptation to play it note for note or even showbiz it up a bit. 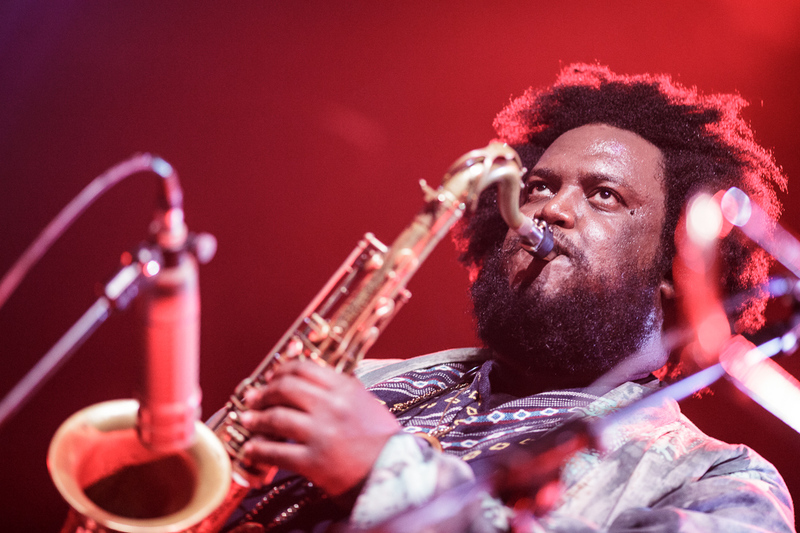 Kamasi Washington is better than that. Every song from the The Epic was stretched and pulled, manipulated and twisted, turned upside down and inside out but with just enough skill and dexterity to keep them on the right side of falling off the edge. There was an impetus and an urgency and a drive to keep it ever moving forward. 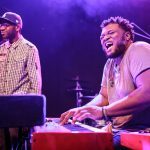 Within all the improvising and solos from his group; especially keyboard player Brandon Coleman, the essential structure and spine of the songs remained in place. It was a journey, every song was a journey. 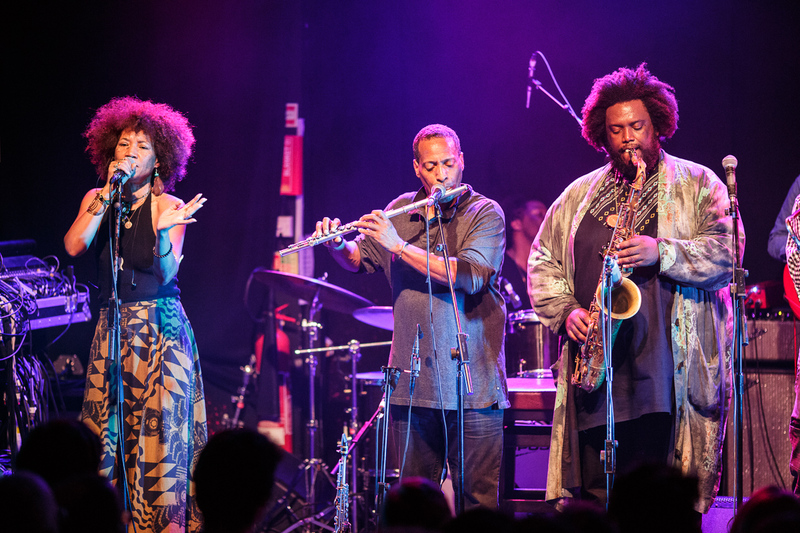 We knew what destination we were going to end up in, but how we got there and what unexpected roads we would travel along was down to Kamasi Washington. Hearing Miss Understanding, Cherokee and The Rhythm Changes from The Epic played in such a way makes you dream of hearing a live album at some point in the future as well as rushing back to listen to The Epic yet again. You know what made this show so special? 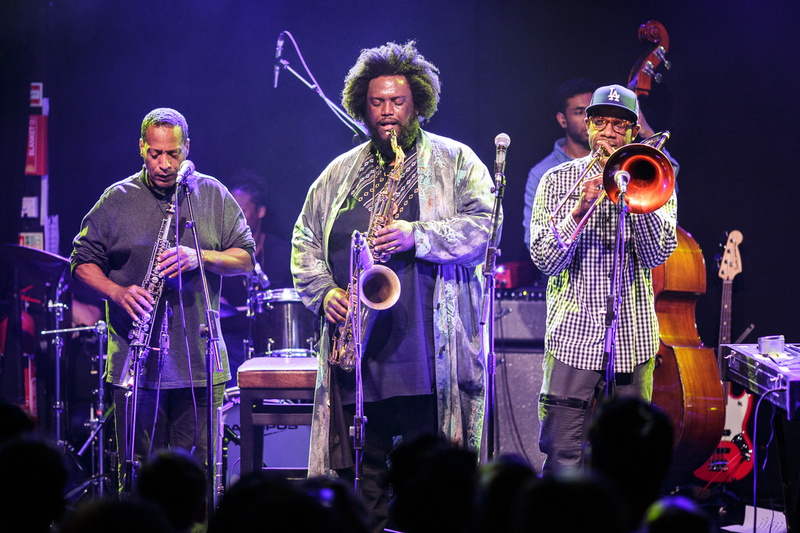 It was that all the band, Kamasi Washington included, were buzzing off it as much as we all were. 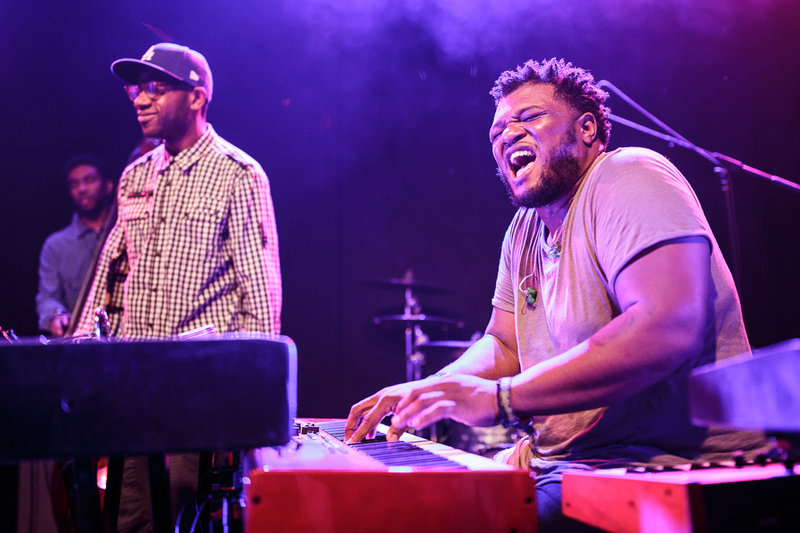 It’s very rare that you see a band look so genuinely happy when they’re playing live, but they all were. 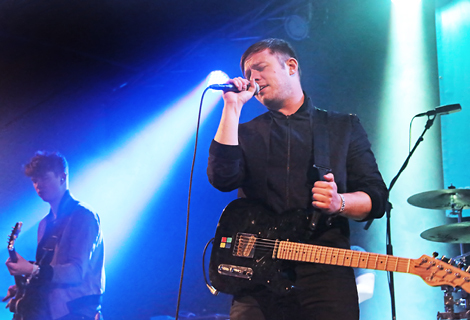 A truly special show and one that will live in our memory for a very long time indeed.